Social innovation: Alternative search engines as drivers for social change? Nanotechnology: Democratizing a hyped-up technology? Responsible research and innovation in basic research: Chance or threat? Contested agricultures – contested futures. How are sustainable futures (un)made in the debate on GMOs and New Breeding Techniques (NBT)? Framing electric vehicles in Germany and the UK – Driving or impeding innovation? Ambiguities of emerging bioeconomy: Innovation patchwork or comprehensive transformation strategy? Transformation and innovation – Schumpeter and Polyani as political counterculture? The dynamics and interrelationships between innovation and social change are one of the key topics in STS (Science, Technology & Society Studies), as well as a key issue in the exploration of sustainable futures. Around the globe and in many diverse ways, innovation has become a persistent concern—be it with regard to the competitiveness of research and business; the expected economic, environmental or social impacts; or the controversies around perceived future challenges, opportunities and ramifications. While the predominant notion of innovation is considered linear and primarily techno-scientific, STS analyses aim at better understanding the material, temporal and social complexities of innovation across various domains of contemporary societies. On this basis, the goal is to enlighten public debate and equip actors to be better able to contribute to the governance of innovation in society. Research in the STS tradition, including the history of science and technology and innovation studies, has produced a rich body of theories and case studies on interrelationships between science, technology and society. Of particular interest are cross-temporal, cross-sectoral, and cross-institutional comparisons, especially if they account for more recent or novel societal configurations, dynamics and outcomes of science, technology and innovation. We also invite presentations on how and why definitions of innovation have changed (e.g., regarding concepts and models of innovation; technological innovation and social innovation; or innovation and institutional or political reforms). How do innovations relate to societal change in particular areas? What dynamics of power are hereby at play? Which concepts of innovation and societal change co-exist that potentially conflict with each other? How do concepts of innovation relate to particular institutional constellations or political visions, both in theory and practice? Research in many fields of scholarship (i.e., natural sciences, social sciences and humanities), together with various policy efforts at international, national and regional levels, have demonstrated that meeting the contemporary grand societal or global challenges necessitate fundamental changes in how knowledge, decision-making and practice are organized. Sustainable development (e.g., the Sustainable Development Goals as agreed upon in the United Nation’s Agenda 2030) provides basic orientations for approaching global challenges such as environmental degradation, social injustice, and misguided economic growth, while mostly black-boxing the predominant institutional frameworks of power. What kinds of knowledge are mobilized (or marginalized) in policies that aim at meeting the grand societal challenges? What institutional and cultural conditions contribute to innovations that respond to social needs (especially of the environment, the poor and otherwise disadvantaged) and allow for the reflection on the potentials and limitations of innovations? While the predominant modes of transnational innovation and economic competitiveness contribute to the production of global challenges, achieving long-term sustainable futures will also require science and technology to contribute to both technological and social innovations, and policies in support of research on, and for, societal transformation. How do particular research and innovation endeavors conceptualize and approach global challenges? Which concepts (of future societies, transformations, actors, etc.) are associated with innovations to be pursued? How can policy support research towards sustainable futures in a more democratic fashion (and what does democratic hereby mean)? Far-reaching projects of political and institutional reform of the past and present have been referred to as “new deal,” while the particular configuration of science in society (e.g., as regards scientific freedom, the funding of science, and expectations towards the performance and outcomes of science) has been cast as the “social contract for science.” Considering the grand challenges ahead—which themselves provide a worthy subject for further critical inquiry—the envisioned societal transformations toward sustainable futures require changing commitments to what some would call a “global new deal.” Correspondingly, as science and policy are not only in place to serve such societal transformation, they may have to become increasingly transformative themselves. In consequence, this rather fundamental change in the configuration of science, policy and society (including the science-policy nexus) will likely need a new underlying agreement that spans institutions and societies. This raises further far-reaching questions: Should the distribution of risks and benefits of innovations be re-organized, especially among the public and private sectors, e.g. as regards financial commitments and rewards? How would the exploration of transformative development paths be supported, or undermined, by divergent political forms of government, in particular democratic or authoritarian ones? How would it affect some of the most foundational institutions of modernity, such as capitalist modes of production? Which forms of knowledge are needed in such emerging or envisioned new constellations, and how well is the contemporary science system equipped to provide them? 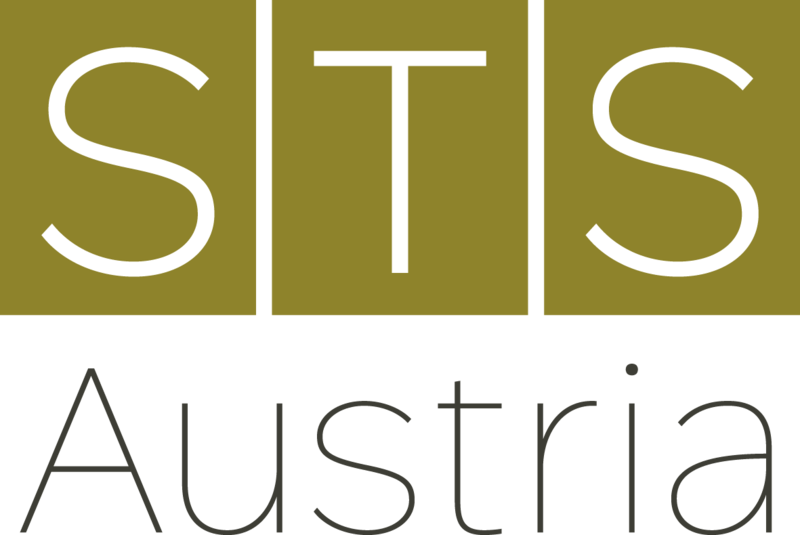 In addition to sessions relating to the overall conference topics outlined above, we will also organize an open track in order to facilitate wider participation of members and friends of STS Austria, and, in particular, to enable doctoral students and postdocs to present their projects. There will also be a pre-conference workshop organized by graduate and doctoral students. The conference Planning Committee invites abstracts of up to 300 words. The closing date for abstract submissions is 3 June 2018. You will be notified approximately three to four weeks later if your paper is accepted for presentation. This entry was posted in Conferences on 1. August 2018 by Petra.